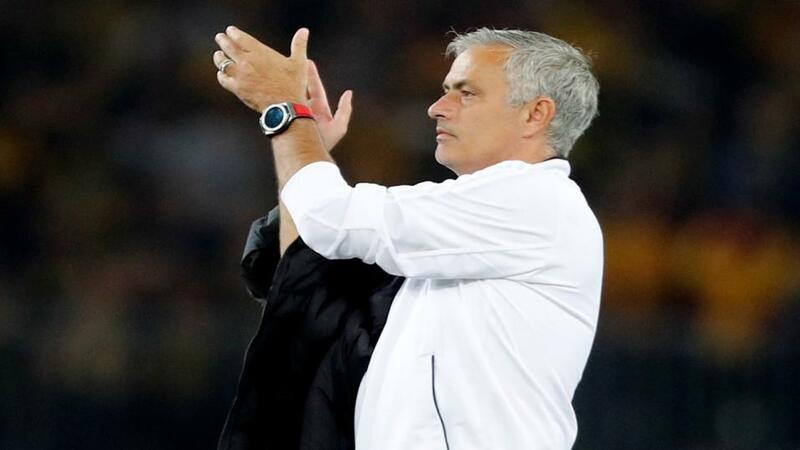 Jose Mourinho knows he faces an uphill task against one of the Champions League favourites. Both Manchesters are in action on Tuesday night and Jamie Pacheco picks the best same-game multi-bet for each of them, with selections including that man Anthony Martial being on the scoresheet again. "Anthony Martial may yet prove to be Jose Mourinho’s Mark Robins (somewhat younger readers… look it up). His goal at home to Newcastle a couple of weeks ago was the one that levelled the scores and gave Man Utd all the momentum while his brace against Chelsea was priceless and a good reminder of why Man Utd paid all that money for him a few years ago." For all of Manchester United's improved performances over the last two matches, this will be a different ball game here. This isn't just a Juventus who have won seven Serie A titles in a row and made the Champions League final twice in the last four years, it's also one containing Cristiano Ronaldo. Somehow, he can shrug off any off-field concerns and just carry on doing what he does best. He scored again at the weekend although it wasn't enough for Juventus to get all three points; they drew 1-1 at home to Genoa. Ronaldo is 13/10 to score here and though you could make a case for backing him at that price given his Champions League scoring record, current form and extra motivation at being up against a former club, there's better value elsewhere in terms of a goalscorer. Anthony Martial may yet prove to be Jose Mourinho's Mark Robins (somewhat younger readers... look it up). His goal at home to Newcastle a couple of weeks ago was the one that levelled the scores and gave Man Utd all the momentum while his brace against Chelsea was priceless and a good reminder of why Man Utd paid all that money for him a few years ago. He's obviously in great form, will definitely start and is high on confidence so you may well consider the straight 7/2 that he scores anytime. But it might just be worth pushing the boat out a bit more: with Romelu Lukaku out of form and Alexis Sanchez not even a certain start these days, he may just have Marcus Rashford to beat for the honour of being 'first to score for his team'. You could also argue that it's quite unlikely Man Utd will score more than one so a better option at a bigger price might be to go with the Frenchman at 5/1 to score Utd's first goal. And it's worth putting that together with both teams to score. It's been a while since these two played each other in a meaningful game; you'd have to go back to the 2002/3 season for their last clash but if you believe history has a habit of repeating itself then it's worth pointing out that there were goals at both ends in three of the last four encounters between them. It would have paid out in five of the hosts' last six games and the way they seem to be playing at the moment- shaky at the back but counter-attacking with intent - you'd think we'll see both both teams scoring here again. Raheem Sterling was my tip to open the scoring for Man City at the weekend but it turned out to be a rare case of the former Liverpool not only starting the game on the bench but not coming on at all. What that does mean is that he'll start here and that he'll be well rested. He got one against Brighton at the end of September and scored two excellent goals for England a week ago in that famous win over in Spain so he's in good scoring form and will be well up for this. Sterling is 11/10 to score here and that will do us just fine. Man City's last nine games in all competitions have yielded seven wins, that 2-1 defeat at home to Lyon and a 0-0 draw away at Liverpool. Of those seven wins, six of them also came with at least three goals in the match: Newcastle (2-1), Fulham (3-0), Cardiff (5-0), Oxford (3-0), Hoffenheim (2-1) and Burnley (5-0). It's not that surprising: their strength is in attack and there are still a few questions marks over not only who their best combination is in defence, but the defence itself. On the other hand, in attack the sky's the limit for the likes of Sterling, Sergio Aguero, Leroy Sane, Riyad Mahrez and co so they're also more than capable of going out and winning this 3-0 or 4-0. Either way, up against a Shakhtar side that isn't a vintage one, you'd not only think that Pep Guardiola's men will win but that there will be at least three goals in the game as well.